The official public blog of the Yi Fa Society, a mystical order dedicated to the teaching and practice of self-transformation through the study of long-hidden practices of internal alchemy. Li has traditionally been translated as “fire”, but this is the concept of pure primordial fire, not the lesser elemental fire. Thus, the best translation for this trigram is another historical attribution, which would put it in line with what “Li” is meant to represent in western esotericism: “The Sun”. It is sometimes also referred to as “lightning”. It is the trigram associated with summer (when the Sun is at its strongest), beauty, the power of clinging. Because it is a single weak line between two strong ones, it is referred to as the “middle daughter”. Its quality is radiance. Its key spiritual concept is “Elegance”. 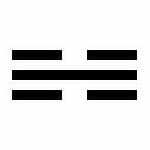 The Li Trigram in conjunction with other trigrams generally strengthens and makes a hexagram more positive. In general, all the hexagrams that include the trigram of the Sun are among the most positive of all the hexagrams of the I Ching. Its power is such that it is only diminished when in conjunction with the Moon trigram, its opposite in both form and fortune. The structure of the Yi Fa Society and its curriculum is based on techniques of eastern origin (primarily the I Ching and Qi Gong). How does it relate to the western esoteric tradition? In the first place, it bears reiterating that the Yi Fa Society is not a "chinese" esoteric system. It is a Universal system. This does not mean that it is some sort of mishmash or lacking solid foundations; but that the fundamental formula of its work is a universal formula. In truth, while there are eastern and western religions, or eastern and western mythologies, or eastern and western techniques, there is no such thing as a true mystery school that is "eastern" or "western". All true systems are Universal system, because they deal with the human experience. The fundamental purpose of all mystery schools is self-transformation. The fundamental formula of self transformation can be summarized as "Awareness cultivation + Concentration discipline + Virtue training". All systems of eastern esoteric or western esoteric origins use that formula. Even the basic expression of any mystery school is going to be the same: it will be based on training in Symbolic Language, plus training in Cosmology (that is, a abstract 'mapping' of reality) plus training in a set of practices to allow one to manifest and apply one's Will. In practical terms, there is a significant similarity between the training system of the Yi Fa Society and the training system of magical schools like the A.'.A.'. or the Golden Dawn. These western schools rely on a combination of mystical teaching, meditative practices, and 'magick' (which is the application of Will to create Change). The Yi Fa society combines the mystical teaching in the principles expressed in the I Ching, meditative practices in Qi Gong, and training in the application of Qi, De, and Gong to generate Change in one's own being and the world. It can thus be understood as a 'parallel system', which matches the same goals as that of western magick, but in a different way. It is in fact complementary to the training that western magical systems provide, and training in the symbolic language and cosmology of the I Ching, in the physical cultivation and meditative practices of Qi Gong, and in the secret techniques for utilizing one's Qi, can all serve to strengthen anyone who is already working with a western system. It provides a new perspective, and new skills to enhance one's existing techniques. If you are interested in applying for membership in the Yi Fa Society, please contact us here, on Facebook, or on Google+. Today's blog entry is postponed on account of being busy providing Holiday I Ching castings for Yi Fa Society students. Please contact me if you are interested in membership in the Yi Fa Society. In this new video of the Yi Fa Society, some explanation and instruction of what it means to practice with the Active Consciousness. This is an essential part of effective practice of Yi Fa Qi Gong, or of any meditative practice in general. If you are interested in joining the Yi Fa Society, please contact me. Kan has been traditionally translated as “water”, but in the same way that Li represents primordial fire, Kan represents primordial water, thus another traditional attribution is a more appropriate one for western correspondence: “The Moon”. It is also referred to sometimes as the cloud, or the pit. It can represent “danger”, because of its hidden power (a strong line surrounded by weak lines). It is associated with winter (when the sun is at its weakest), the characteristic of enveloping; and because of the strong line in the middle it is called the “middle son”. Its quality is depth. Its key spiritual concept is “Abysmal” (i.e., “Deep”). 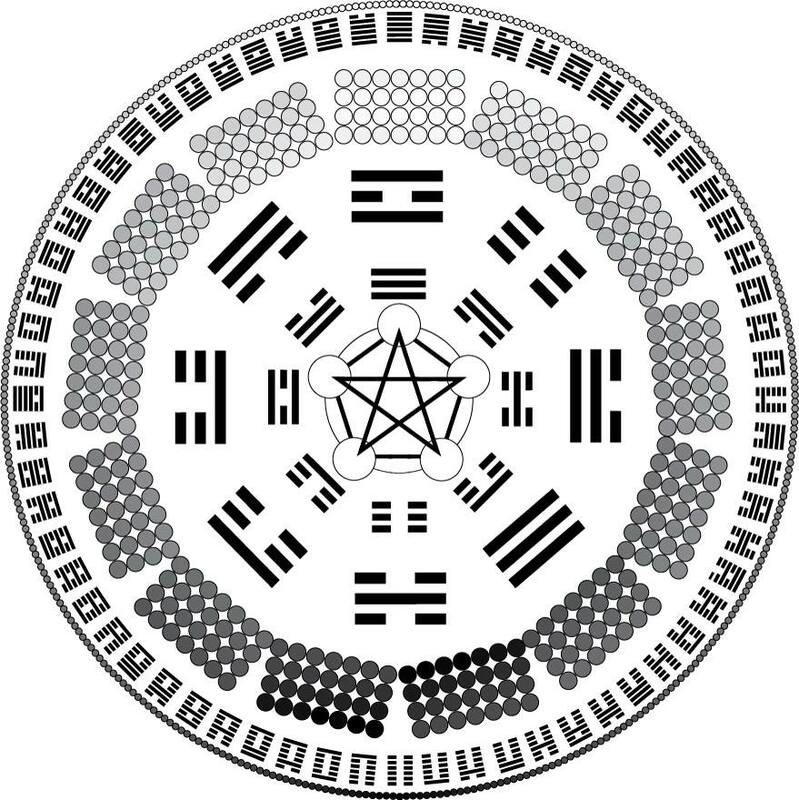 The Kan trigram, in conjunction with other trigrams to form hexagrams, tends to be the most inauspicious of all the elements. Most of the most troubling hexagrams include the Moon trigram, and it is rare to find good news in the forces represented by it. This reaches a pinnacle in the Pit hexagram (#29, moon and moon), which represents great danger, a trap, imprisonment; and in an esoteric sense represents the forces of dispersion found in the depths of the abyss, those fundamental qualities that divide a person from oneness. However, even here the I Ching offers an optimistic note: as Change is a constant force, from this hexagram marking the lowest point, things can only go up. In terms of what would be expected of members in the Yi Fa Society, and what you could expect: Members of the Society at Level 1 gain access to a secret Facebook Group where we engage in discussion and teaching, where there are a number of videos and files on I Ching and Yi Fa Qi Gong that are not found in the public venues (like the Yi Fa blog, the Youtube channel, or the Magician's I Ching Group). They are thus given some additional instructions on these practices not found in public. However, MOST of the Level 1 work is publicly available (the exercises are on the Youtube Channel, the I Ching material is in the book); the real value of Level 1 is that it is a period of training in developing discipline, and you get personal interaction with a Teacher to answer questions and keep you on track. Yi Fa Society members can write in the group or to me personally at any time to discuss their practice, answer questions or share/get insights on their experiences. The really advanced starts to happen from level 2 onward, as you may have seen in the recent blog post revealing the level 2 curriculum: advanced exercises, new teachings, secret I Ching techniques, and other practices that are aligned to a precise curriculum that marks the student's ongoing advancement; each of the 8 levels provide new material that matches where the student should be in their level of awareness and Qi Cultivation. What is expected of the student is diligent practice: this includes if at all possible practicing the Qi Gong on a daily basis, and following the study program of the I Ching. This group is not some order that grants symbolic titles or something like that; each level is not based on 'time served' but on actual work done. The point of the levels are to mark and guide further progress, and provide material in a sensible format that actually allows a person to best study what makes sense to study and do at the given point they're at in their spiritual work. So there can be no moving on to the next level unless the lessons of the former have been integrated. If you are interested in joining the Yi Fa Society, please get in touch with me. Don't be shy! Each level of the Yi Fa Society has its own curriculum, with new material presented for the student's growth, practice and study. A previous entry already detailed the Curriculum of Level 1. 1. The Level 2 Yi Fa Qi Gong exercise. This is a secret exercise taught only to members of level 2 of the Yi Fa Society program. 2. "Transforming the Inferior Person": a contemplative practice, used by a level 2 student to address those parts of their persona that act as barriers to the Superior Individual, to re-integrate them and remove them as barriers. 3. The Universal Yi Fa Qi Gong: a 50 page secret text that acts as a guide to the theory and study of Yi Fa Qi Gong. 4. "The Three Offerings": devotional practice/ritual to further the development of Union. 5. Secret Techniques of the I Ching: secret methods to determine further insights into I Ching castings, including understanding the origins and further developments of aspects of the present casting, alternate resulting hexagrams, and concepts of Timing to determine duration of casting effects. 6. 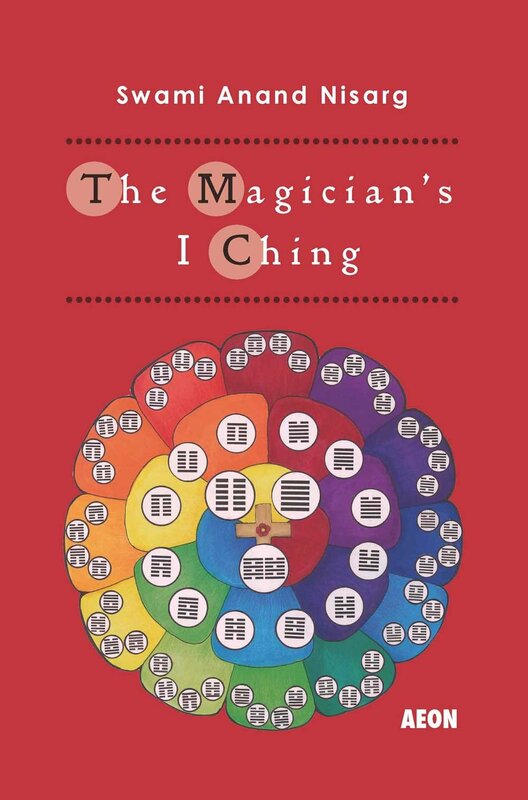 The Yi Dao: a 22 page text of commentaries on the study of the I Ching. These advanced teachings are only available to those students who are members of the Yi Fa Society and complete the Level 1 curriculum. If you are interested in membership in the Yi Fa Society, please contact me! Who Should Join the Yi Fa Society? The Yi Fa Society is not for everyone. It is not meant to be a vast worldwide movement, it is not a religion, and it is not a mass-market product. The Yi Fa Society is a systematic training program in self-transformation through a series of esoteric practices. It's core practices are Qi Gong, the I Ching, and meditation itself (in a form that integrates body, mind and will). You do NOT have to already know a great deal, or even anything at all, about the I Ching or Qi Gong before becoming a member of the Yi Fa Society. You do not even need to be specifically interested in these two, as much as you need to be very interested in transforming your being and expanding your consciousness. You need to have some slight inkling that there is more to your existence than what you currently define as your 'self', and want to unite more strongly with that thing that is vaster than 'you'. You do not need to know what that greater thing is; in fact, it probably helps if you understand that you are not completely sure what it is, yet. You need to have a little bit of discipline, and want to develop more of this especially in your spirituality. The Yi Fa Society's curriculum is not an easy one; even though none of the practices are very hard, it requires that you test yourself through being able to make the commitment of doing them consistently. You need to have a bit of a sense that your being has many different parts, and to want those parts to work together more harmoniously. You need to have a sense that there is an experience that can be described as "Truth" or "Reality", and that you want to get that experience more often than you have thus far. If this appeals to you, if you want to work in a system of spiritual discipline that will lead you to discover your true Will/Nature, and unlock the power in your own being, and challenge you in all levels of that being to grow more vast and whole; and if you are willing to place a high value on that and make the work of practicing it a priority, then the Yi Fa Society is definitely for you. Please contact me if you wish to apply.